It's Yogi Adityanath. 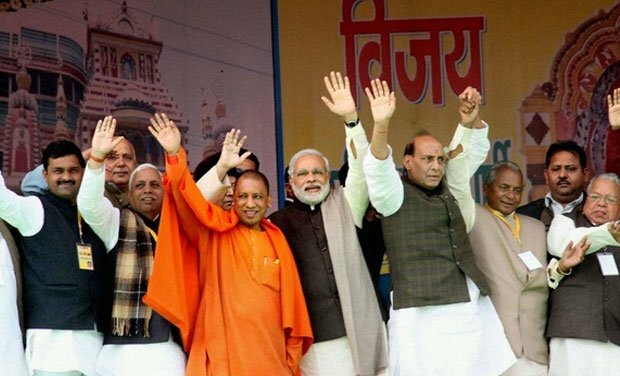 The week-long suspense over who will be the next chief minister of Uttar Pradesh finally got over following an announcement by the BJP. The new chief minister and his new cabinet will take oath on Sunday. The announcement came following intense drama on Saturday even as sources claimed MoS for Railways Manoj Sinha was "almost" certain to be the chief minister. But there was no clarity as the BJP top brass remained tightlipped over the decision following reports of a tussle with the party's ideological mentor, RSS. The RSS reportedly wasn't too happy with Sinha as the CM candidate. Sinha was reportedly the original choice for CM and was backed by PM Narendra Modi and BJP President Amit Shah. The suspense grew after the Gorakhpur MP Adityanath was flown to Delhi to meet BJP president Amit Shah, which was followed by a formal announcement later in the evening. Here are 10 things to know about the new chief minister of Uttar Pradesh. 1. Born on June 5, 1972, Yogi Adityanath's real name is Ajay Singh. He has a BSc degree from HNB Garhwal University, Srinagar, Uttarakhand. 2. He was elected as the member of the 12th Lok Sabha in 1998 from Gorakhpur constituency, becoming the youngest MP at the age of 26. He has so far been MP from the same constituency five times. 3. Known for his firebrand politics, Adityanath never had to rely on Modi wave to cling on to his seat or get anointed as the Uttar Pradesh CM. A fact that proves his immense popularity among the electorate is the margin of 1, 42,309 votes with which he won the 2014 Lok Sabha elections. 4. Adityanath has several criminal cases against him. But that didn’t stop him from becoming the CM of the most populous and communally sensitive Uttar Pradesh. He has been charged in the past with rioting, attempt to murder, armed with deadly weapon, endangering life or personal safety of others, unlawful assembly, trespassing on burial places and criminal intimidation. 5. Often caught in controversy because of his speeches, Adityanath allegedly led a “purification” drive for conversion of Christians to Hinduism in 2005. 6. He was arrested for inciting Gorakhpur riots in 2007. In Gorakhpur riots of 2007, a Hindu boy was killed after some people opened fire on a Muslim procession that took place on the occasion of Moharam. When the youth succumbed to the injuries and died, Yogi Adityanath allegedly vowed to deliver justice to Hindus. He announced a torchlight procession and a “Shraddhanjali Sabha (pay homage)”. 7. Adityanath is the founder of the Hindu Yuva Vahini - a “social, cultural and nationalist group” of young people. 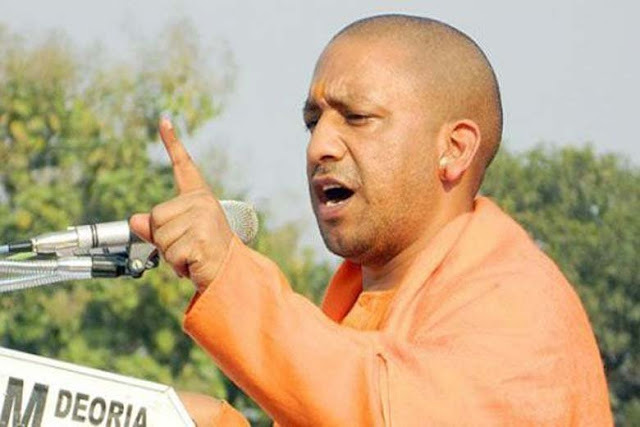 Known for his impeccable Hindutva credentials that includes support for Ghar Wapsi and fight against “Love Jihad”, Adityanath’s Hindu Yuva Vahini in 2015 embarked on a mission to declare the cow as “rashtra maata” (mother of the nation). The Hindu Yuva Vahini even launched a missed-call subscription initiative on a pilot basis in Aligarh to canvass support for the cause. 8. In the run-up to Uttar Pradesh Assembly elections, he said the alleged exodus of Hindus from Kairana and “Love Jihad” were important issues for the BJP. The new UP chief minister is a strong proponent of the "anti-Romeo squads". He has been saying that the squad will work towards restoring the pride of women. "There are areas in western UP where girls can't go to school. The squad will work for their rights and ensure safety of women in the state," he had said earlier. 9. He, however, has had a strained relationship with the BJP for more than a decade. The troubled relationship was finally normalised with the RSS's intervention. 10. With his anointment as Uttar Pradesh CM, Adityanath joined the famous league of BJP’s bachelor CMs – Trivendra Rawat (Uttarakhand), ML Khattar (Haryana), Sarbananda Sonowal (Assam).